Roy Wilkins (1901–1981) spent forty-six years of his life serving the National Association for the Advancement of Colored People (NAACP) and led the organization for more than twenty years. Under his leadership, the NAACP spearheaded efforts that contributed to landmark civil rights legislation, including the 1964 Civil Rights Act and Voting Rights Act. 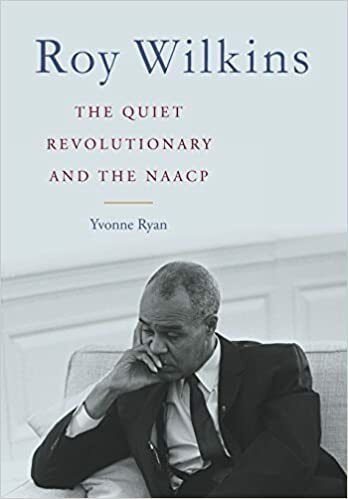 In Roy Wilkins: The Quiet Revolutionary and the NAACP, Yvonne Ryan offers the first biography of this influential activist, as well as an analysis of his significant contributions to civil rights in America. While activists in Alabama were treading the highways between Selma and Montgomery, Wilkins was walking the corridors of power in Washington, D.C., working tirelessly in the background to ensure that the rights they fought for were protected through legislation and court rulings. With his command of congressional procedure and networking expertise, Wilkins was regarded as a strong and trusted presence on Capitol Hill, and received greater access to the Oval Office than any other civil rights leader during the presidency of Lyndon B. Johnson. Roy Wilkins fills a significant gap in the history of the civil rights movement, objectively exploring the career and impact of one of its forgotten leaders. The quiet revolutionary, who spent his life navigating the Washington political system, affirmed the extraordinary and courageous efforts of the many men and women who braved the dangers of the southern streets and challenged injustice to achieve equal rights for all Americans.